From different parts of the planet, but linked by the thread of positive conversation amongst multi sector/level stakeholders for the good of the whole: we’re so proud to announce an amazing joint keynote by dr. Anastasia Bukashe and dr. Ilma Barros. They will highlight extra-ordinary cases of AI inspired large scale processes in regional development & nation building, both in South-Africa and Brasil. She currently serves as the Liaison Officer (SADC Region) for the United Religions Initiative, and interfaith global movement. She is also an active advisor to the Association of Lay-Training Centres in Africa (ACLCA), an African initiative focused on growing lay-leadership for transformation. She has recently been invited to serve on the Interim Board of Citizens in Partnership with Government (CPG) a South African based initiative intent on transformation of the country. 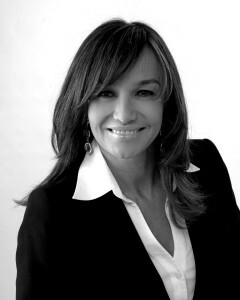 To all of this Anastasia brings to bear her experience and expertise in Appreciative Inquiry. As a member of NTL and co-founder of the Centre for Excellence (an initiative to bring the AI track of NTL to Africa) Anastasia continues to fuse practice and scholarship. She is a skilled facilitator, trainer and speaker who has been blessed with many opportunities to participate in growing the AI community globally. Ilma worked as a senior consultant for the Federation of Industries of the State of Parana and, in that role she led the strategic planning for the Federation and industrial segments. She also delivered, for four consecutive years, the Appreciative Inquiry Certificate Program in Brazil in partnership with Case Western Reserve University. 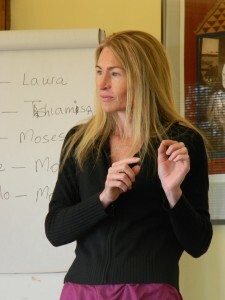 Ilma earned her Ph.D. in organizational behavior from Case Western Reserve University and was an Assistant Professor of Business at the State University of New York and L´Moyne College.